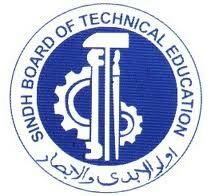 Karachi, Sindh Board of Technical Education has declared the SBTE DIT result 2018 and now this DIT result 2018 is provided online. The candidates, who attended their SBTE DIT semester exams on the given date and time, they can visit this page to get their marks grade wise as the roll nos of the students are shown there and they will also check their marks in their respective DIT semester exams 2018. SBTE has already conducted the semester exams of Diploma in Information Technology in the SBTE first semester exams (September to February 2016-17), first semester exams (March to August 2017), second semester exams (September to February 2016-17) and second semester exams (March to August 2017) on the given date and time. The candidates will get the latest updates regarding their SBTE DIT result 2018 with the latest updates from this page.